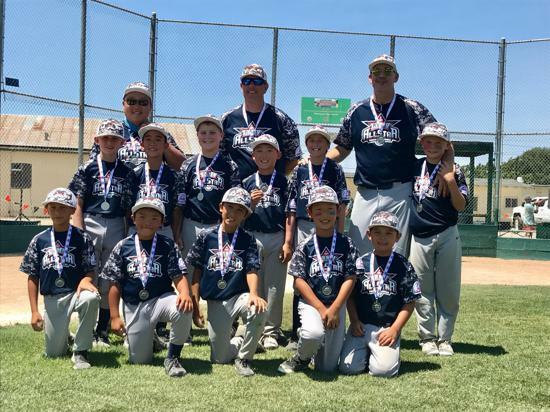 Congrats to the U9 team for getting second place in the Morgan Hill tournament, July 5-8. Under difficult weather conditions (above 100F degrees! ), they fought hard in every inning. We are all very proud of them! Bottom Row: Nick L., Ryan Y., Max H., James N., Jaden P..
Top Row: Matthew M., Ethan F,, Timmy F., Vincent K., Russell J., Will J..